June is surely the month for Roses above all else. Roses sometimes carry a reputation for being difficult, all the different types, pruning and feeding. But a few key pieces of information will help you to understand how to choose a rose for each situation and get the best display all summer long. Roses are hungry shrubs: most are strong growing and produce dozens of blooms over several weeks or even months. They need plenty of water and nutrients to stay healthy and a healthy plant will be better able to resist and recover from pests and diseases. Roses are very happy in a moisture retentive clay soil if it’s opened up with organic matter but they often struggle on light, free draining soils based on sand or chalk. Once again plenty of organic matter dug in will help. A specially formulated Rose fertiliser applied in early summer will contain all the essential nutrients with plenty of potassium to encourage flowers and not too much nitrogen to avoid lush leafy growth instead. Climbing roses are good for covering fence panel or growing round the front door: many do not exceed 2.5m tall, they have fairly stiff stems and carry plenty of blooms low down. Ramblers are usually more vigorous and will happily cover a tree or a building. They often have clusters of smaller flowers than the large single blooms on a climber. Roses are pruned exactly like other summer flowering shrubs. Reduce tall stems in autumn to prevent roots being dislodged by rocking in winter winds. Then the main pruning is done in early spring: remove dead & crossing wood then cut back to strong outward facing buds at the base of last year’s growth. Ramblers are best left to grow freely up their support. In the past rose breeders focused on flower size and colour and subsequently disease resistance and as a result fragrance was often a casualty. However recently the tide has turned and many new roses now have fragrance as well as lovely flowers and healthy foliage. So if you have an old, overgrown rose consider replacing it with a modern English Shrub Rose for the best of everything. 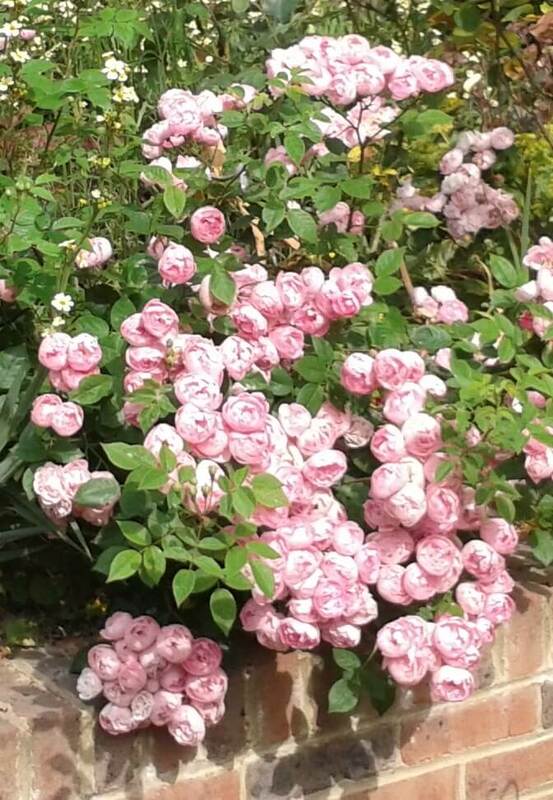 Gardeners often talk about ‘rose sickness’ and advise against planting a new bush where an old one has been removed. It is certainly true that a replacement rose often fails to establish well and slowly dies but there has been no scientific explanation found. The good news is that recent trials indicate adding mycorrhizal fungi to the planting hole assists root growth so much that rose sickness seems not to be a problem. However it is always worth digging over a larger area and ensuring a good, rich crumbly soil for your new specimen. Keep new roses well watered for the first summer and cut off faded flowers to encourage a second flush later. ← Happy New Year, happy new garden?